Got2b Guardian Angel 200ML is my go to product for protecting my hair against heat products. I’m really careful with my hair now, after years of straighteners and dying my hair and really damaging it I try to keep my hair in a healthy a condition as possible! My hair is now pretty much all natural and I use this spray everytime I wash my hair whilst it is still wet and brush it through. Then I dry my hair like normal. 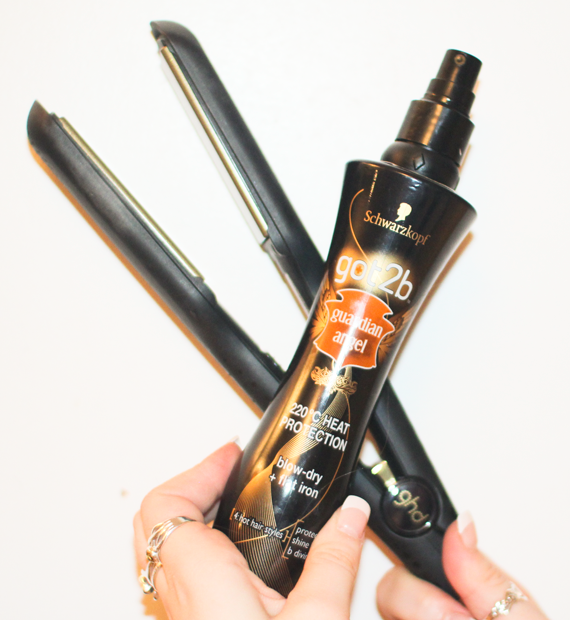 This spray protects your sizzling styles and offers protection up to 220°C (pretty good as I love my GHD’s). With the spray I get a lot less split ends and my hair is far less dry and brittle at the end considering I blow dry and straighten my hair several times a week. 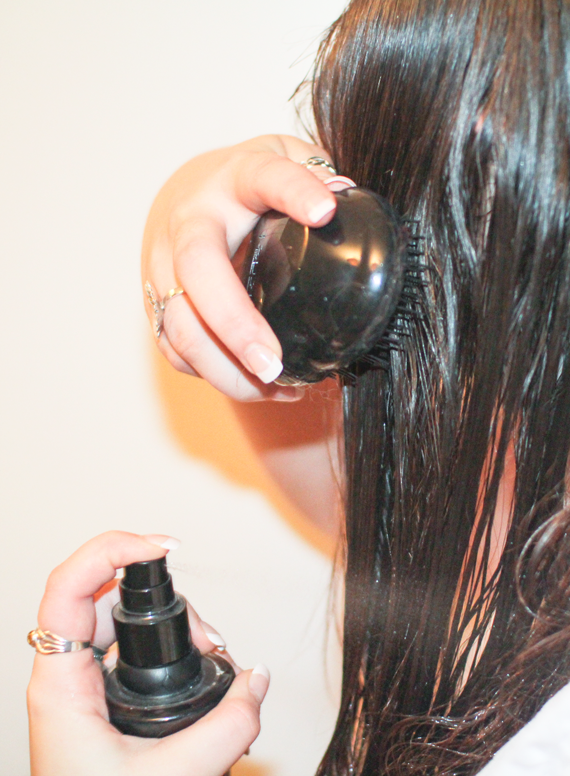 Another more recent addition to my hair care routine is the Tangle Teezer Brush that I got at Christmas. Having a far gentler brush is making my hair feel softer and more cared for, it’s having more of an effect on my hair than I expected! Have you tried Got2b guardian angel?